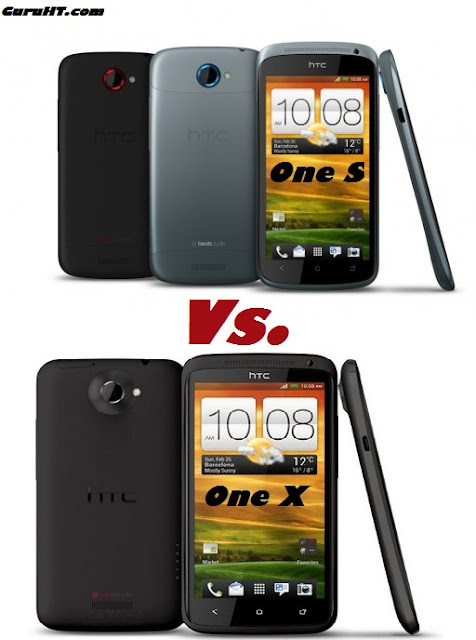 Hello mobile performance fans, HTC release two new performance line smartphones featuring the latest hardware and software available on the planet, using quad-core CPU based and the latest Google Android 4 ICS OS, you wonder how these new mobile devices perform and what you'll get if you are planing to buy one of them. 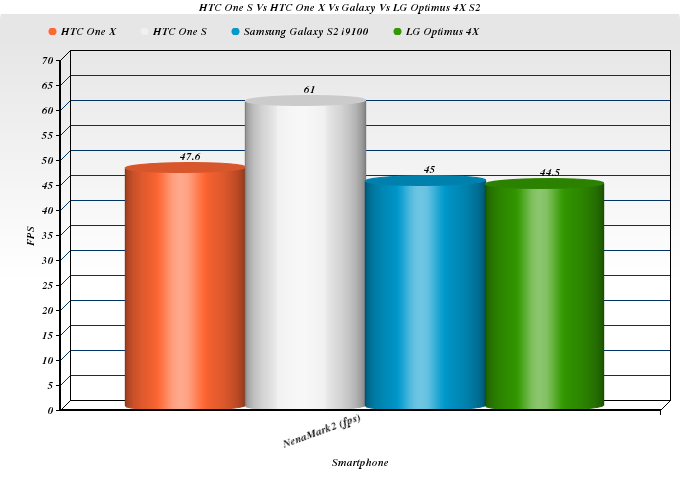 We will try to give you a clear view about the performance difference between four best-of smartphone currently you can find on the market (we will add the new Samsung Galaxy S3 in another test soon), on the spot light are the latest two quad core from HTC, the HTC One S and the HTC One X, on the other side also the LG Optimus 4X, and finally one of the most successful smartphone during the past year, the Samsung Galaxy S2. 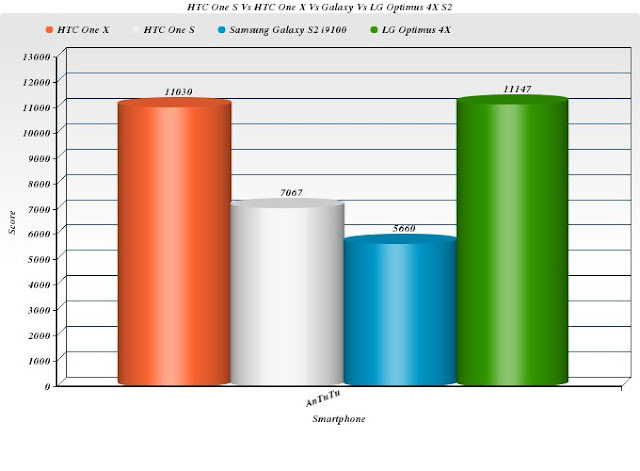 Based on the many tests available from trusted sources in addition our smartphones tests, bellow is a compilation of benchmark results comparing four top of the line smartphones available on the markets. If you want the best gaming smartphone with a decent performance and LED display screen go ahead with the HTC One S, all other uses you can chose between the HTC One X and LG Optimus 4X. 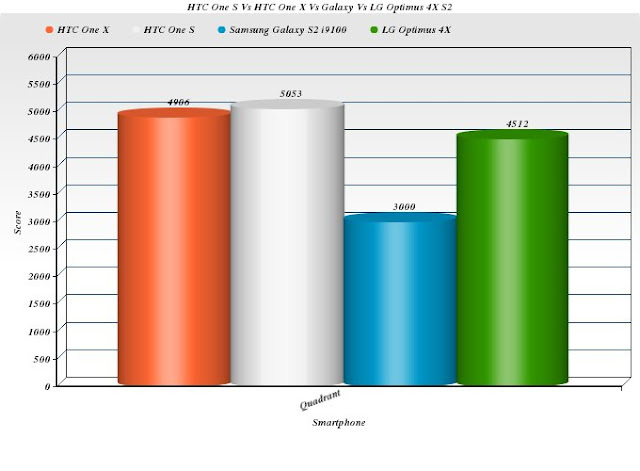 LOL How did you get 3000 in quadrant with the GSII ?? Are you talking about the i9100 with 1.2ghz cpu ?may be you own a verizon or att gs2 that use1.5ghz cpu.